Hansi Krankl played for FC Barcelona from 1978 until 1980 and is fondly remembered as an outstanding striker, scoring 64 goals in 88 matches in a Barça shirt. The Austrian is also remembered for scoring one of the goals in the blaugranes’ 4-3 win over Fortuna Düsseldorf in the 1979 European Cup Winners’ Cup Final. At the weekend the former Barça man was in town to commentate on the game against Málaga for Sky Sport Austria. 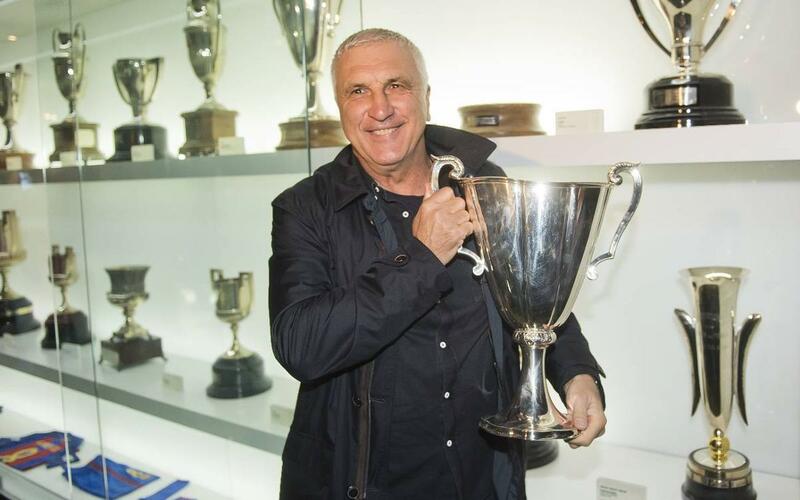 Krankl took the opportunity to pay a visit to the Club Museum, accompanied by Museum director Jordi Penas, to reacquaint himself with the trophy he helped bring back to Barcelona some 37 years ago.